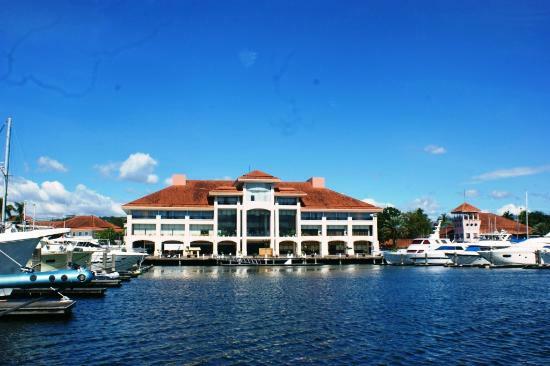 Philippines’ yacht clubs and marinas – Superyachts News, Luxury Yachts, Charter & Yachts for Sale. While sailing in the Philippines you might need to visit the nearest yacht club, marina, or sailing club for refuelling, resupplying or just taking a break. Knowing that the Philippines comprises 7017 islands, yacht clubs and marinas are still in limited number and far apart. In order to help you prepare your sailing cruises, Europa Yachts Philippines keeps an updated list of the operating yachts clubs, marinas and sailing clubs around the Philippines and the services they offer. We would like to share this useful information with you and will keep you informed about any update on new marina projects or services offered to help you enjoy sailing around the Philippines! Accepts visitors; club membership suggested for medium & long-stay berthing. Club membership absolutely required for medium & long-stay berthing. ONLY open to club members and reciprocal club members. Accepts visitors; short-stay berthing, club membership required for medium & long-stay berthing. Accepts visitors; offers short, medium & long stay berthing. Probably the most active sailing club in the Philippines. 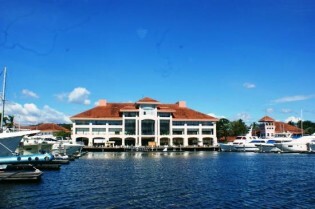 Club Facilities: The SAGS sailing club uses the boathouse of the Subic Bay Yacht Club and The Lighthouse Marina Resort Hotel for their activities. Accepts visitors; SAGS is a sailing club only and has no berth or services to offer. Accepts visitors; full club membership required for regular use of the facilities. Accepts visitors; club membership recommended for short, medium & long-stay berthing. Accepts visitors; club membership recommended for medium & long-stay mooring. Club Facilities: Anchorage, moorings, dinghy-dock, pub-grub. Accepts visitors; offers short, medium & long-stay berthing. Accepts visitors; offers short, medium & long stay moorings. Club Facilities: Moorings. Showers, accommodation and restaurant, water, Internet, fuel and mechanic. Accepts visitors; offers short, medium & long stay mooring. This is only a well protected bay with moorings operated by the local authorities. It occasionally houses several dozens of yachts at once. Club Facilities: Boat retrieval, boat/trailer hardstand storage, maintenance; showers, power and water. There is a few adjacent beach resorts. Accepts visitors; offers short, medium & long-stay hardstand boat storage. A major project is under preparation in Manila. A large marina is meant to be built between the mall of Asia and Solaire as a multi-purpose bay city. Details about the project are not revealed yet.